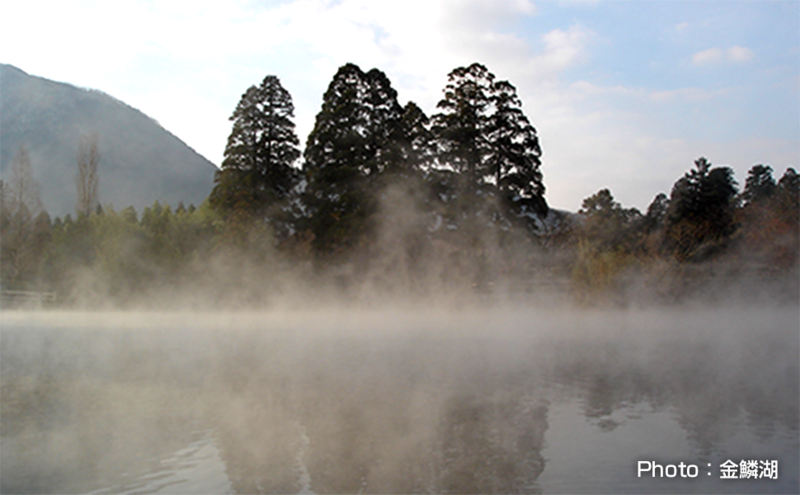 Beppu is the locality number one in Japan for abundance of hot springs and for the quality of the hot water. Once you are in there You can see the steam rising from the hot springs all the way from the city. 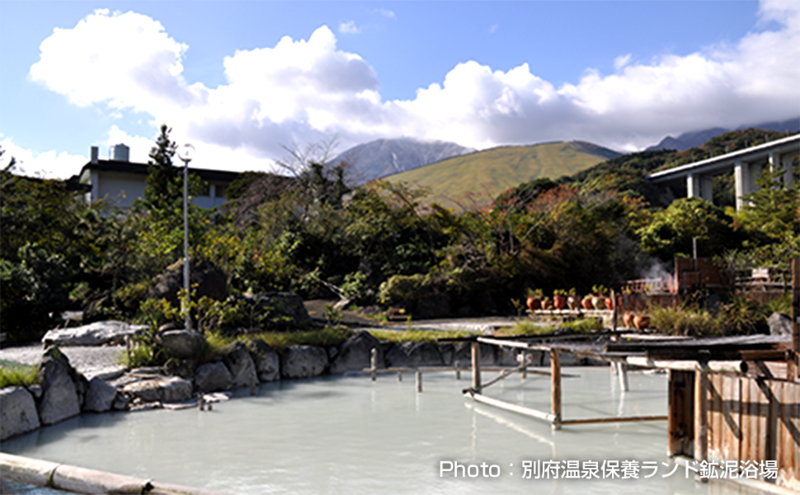 There are 8 areas famous for hot spring and called as Beppu Hatto (which means the eight hot springs of Beppu). BEPPU, KANNAWA, MYOBAN, KANKAIJI, HAMAWAKI, SHIBASEKI, KAMEGAWA, HOTTA. 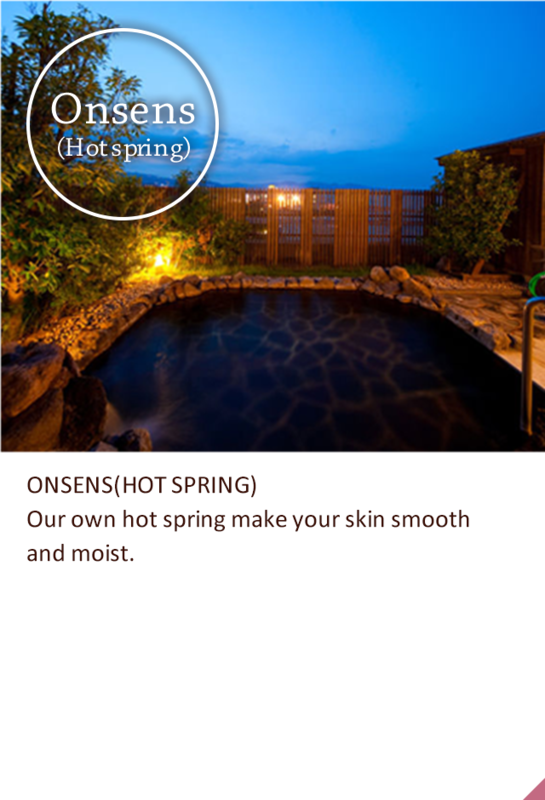 The properties of the hot water differ from place to place, and that’s what makes the Jigoku an attractive sightseeing place. 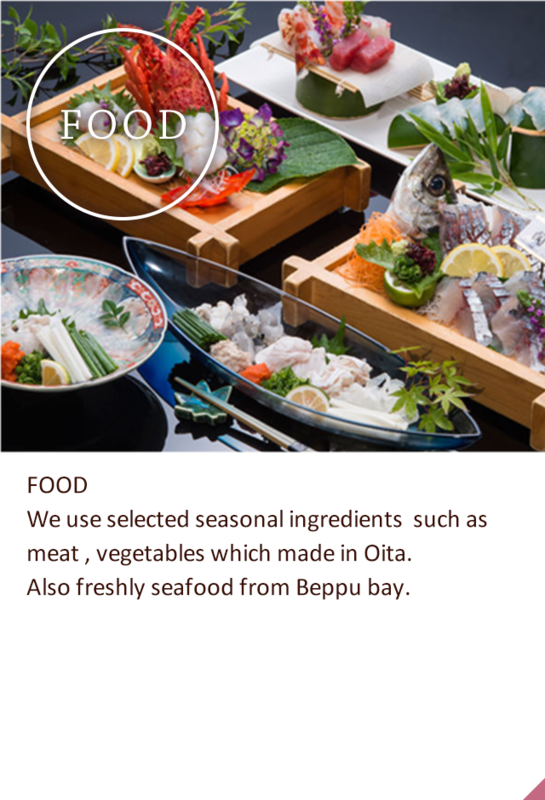 There are many kinds of food you should try when you are in Beppu. Sekiaji and sekisaba (horse mackerel) are popular brand fishes. Besides, there are many other tasty dishes like Toriten (Chicken Tempura), Beppu reimen (Cold noodles), Bungo Beef, Shiroshita flatfish, Ajimu wine. Yufuin is the nationally famous hot springs spot where the total number of sources is the second largest after Beppu Onsen It takes about 40min by car from Beppu, and about an hour by bus. 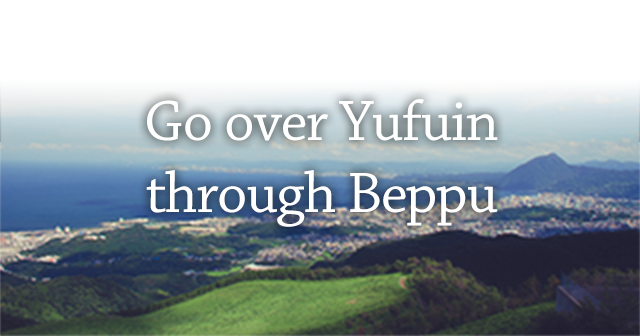 So many people visits both Beppu and Yufuin. In Yufuin, the main street called “Yuno Tsubo Kaido” extends to Kinrin lake. The street is filled with 40 shops which sell gifts, souvenir and take out foods. It is always crowded with visitors not only from Japan, but from all over the world. 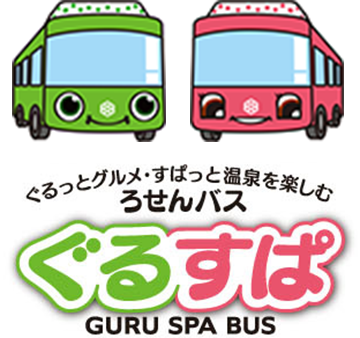 Spatto is round bus which go around Beppu, Kannawa, Myoban area. 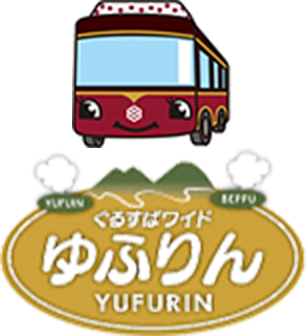 Yufurin is the bus which conncted Beppu and Yufuin about 70min. Yufurin named by Yufu(from Yufuin) and Rin (from Wa from Kannawa also call it as Rin).From Beppu station, you will passed Kannawa, Beppu Ropeway, Kijima Kogen Park,Yufu Tozanguchi(Mt.Yufu starting point) and arrive at Yufuin station. You will also see so many beautiful sights along the way. 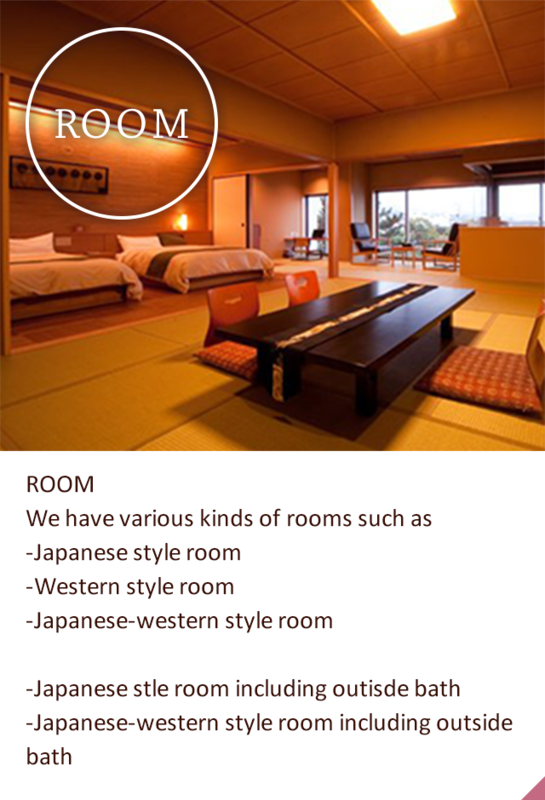 It is not too much to say that Beppu tourism has developed together with the hell. 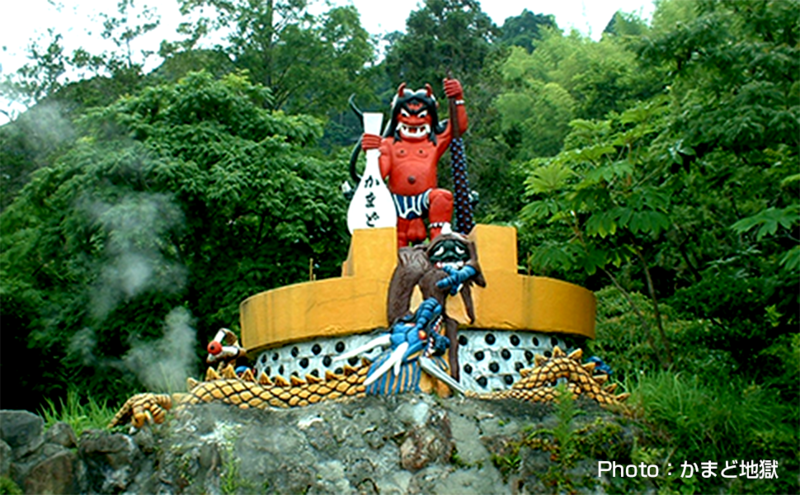 "Hell tour" is a representative tourist attraction in Beppu. It has recorded from more than 1000years ago, Beppu/ Kannawa/Kamegawa areas were abhorred by people because of the fumoroles, heat muds, boiling water. 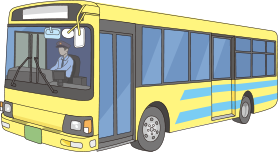 And it is said that the origin of why it has called "Hell"
You can enjoy the tour with rental car or taxi, However, we recommend to use "Hell tour course bus" present by Kamenoi bus. It costs 3650JPY, included 7 all places entrance ticket, and bus. 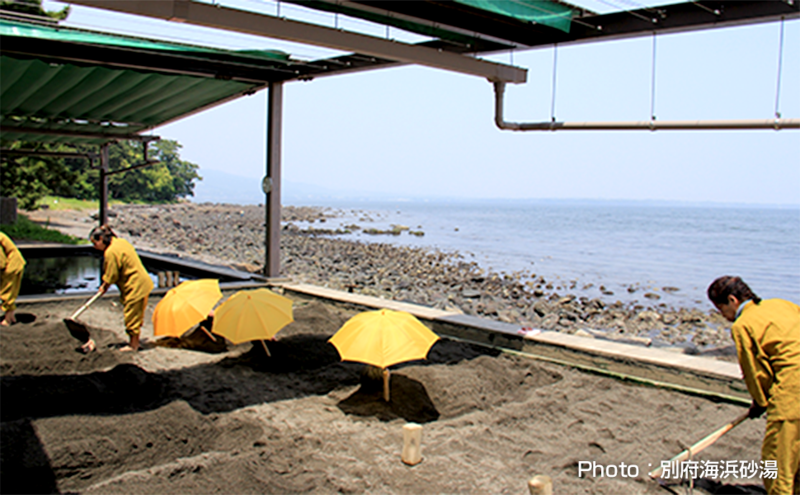 "Beppu seaside sandbath" is located inside of Shoningahama beach. And it is the place you can enjoy sand bath in seaside which surrounded by nature. There is 6meters in width and 20meters un length along the beach. Once you will wear Yukata(Japanese style clothes) and lie on the warm sand, leave to ladies who is professional sander. Enjoying the sound and view of ocean, you can refresh your body and mind with the warm sand. It takes about 15min from Beppu tower." Copyright © BOKAI All rights Reserved.